Guest Publish: Enable -- we do it and spew it. Guest Publish: Enable — we do it and spew it. Letting Go Parenting What can we do? I largely experienced great kindness in my dark days of parenting. My friends prayed and encouraged while I blamed and shamed myself. But how easy it is for us — for me — to armchair quarterback a parent who is doing the best they can with what they know, or don’t know. Thanks to Katherine Ketcham for a call to grace. I hate the word enable. They are harsh words, often spoken with a slight hint of scorn. They are words of blame, words that carry a heavy load of shame. Too often we use words without thinking much about their implications, so let’s take a closer look at using the word enable. Enable means to allow, facilitate, permit, make possible. Allow means to let, to permit, agree to, consent to, tolerate. Facilitate means to make easy, make possible, smooth the progress of, help, aid, assist. Permit means to authorize, sanction, give your blessing to. I am here to speak for parents of kids who are struggling with drugs – as well as for the wives, husbands, fathers, mothers, grandparents, brothers, sisters, aunts and uncles of people who have substance use disorders. They may not all agree with what I have to say, but I suspect most will. We do not “consent” to the pain and misery, the shame and fear, the destruction and despair of addiction. We do not seek to “aid” or “assist” addiction in its efforts to destroy our loved ones. We do not “make possible” this disease nor do we “tolerate” its horrors. We do not authorize addiction to walk into our homes, we do not sanction it, nor do we give it our blessing. We simply do not know – not in the beginning – how to fight back. Addiction enters our lives with stealth and cunning. It disguises itself, talking back to us in ways that make our heads spin. It tortures our emotions so that we begin to believe that we are the ones at fault, causing us to doubt ourselves, encouraging us to cover up, to protect and defend, to run screaming with our hair on fire to the hills. Addiction takes our hearts and twists them. It takes our thoughts and contorts them. It takes our souls and fills them with dread, shame, guilt, and burning fear. The word “enable” only adds to our guilt and shame and makes us hide in fear and self-loathing from the very people who might be able to help us. We see the people we love in trouble. At home. At school. In the office. With the law. Because we love them, because it is our job to protect the people we love, we try to help them. We don’t know, not at first, that they are suffering from a chronic, progressive, deadly disease, and once we suspect it, we cringe from the very thought. Because addiction is not like cancer, diabetes, heart disease, or asthma. Addiction, like the word “enable,” is whispered. When our family members are sick with a substance use disorder, friends don’t bring us home-cooked meals or fresh-baked cookies. We don’t open our mailboxes to find heartfelt sympathy cards. No one sends us flowers. Other parents, relatives, teachers, and friends sometimes hint oh-so-subtly that our family’s “problem” stems from ineffective or even abusive parenting. Insurance companies inform us that they don’t cover addiction treatment – or if they do, they often dictate the terms of treatment or “cap” the amount. Counselors and health care professionals often tell us we are “overreacting.” Doctors prescribe pills to help us calm down, relieve stress, get a good night’s sleep. Sometimes the people we turn to for help look at us sideways, barely able to hide their contempt. Perhaps contempt is too harsh a word. But that’s what it feels like. Disapproval. Condescension. Disdain. So what are we, exactly? What words should be used to describe those of us who struggle to do battle with this disease? Flawed. Imperfect. Struggling. In need. In need of what? Help. Hope. Understanding. Compassion. The irony, I suppose, is that we have compassion aplenty. We remember the old days, when we thought this could never happen to us, the days when we, too, wondered what was wrong with those families whose kids smoked marijuana, snorted coke, or injected heroin. Those days when our children were young and fresh and innocent. Once upon a time, we, too, thought that we were immune. Ketcham has led treatment and recovery efforts at the Walla Walla Juvenile Justice Center in Washington State, and in 2009, she founded Trilogy Recovery Community. Who can understand the mother-heart? 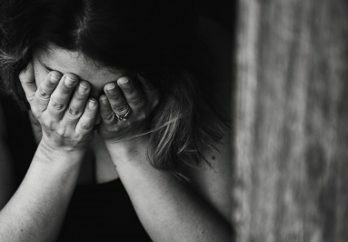 Thank you Katherine for such a well written piece on the confusion and catch-22 emotions we all experience as parents and family members of this insidious disease. Thank you Sarah for sharing this post, it is perfect timing for me. I just had “words that hurt” said to me because I didn’t do what they thought was right for our daughter. I’ve had the same ‘been-rebuked by a treatment center experience to be sure. What made it worse was they were right. However, grace for ourselves — we are doing the best we can with what we know. Love.